Whether you are driving to Vernal from Colorado in the east or from Utah in the west, an adventure awaits. Vernal, with a population approaching 10,000 people, lies almost halfway between Salt Lake City and Aspen, and it offers a number of off-the-beaten-path activities for the day or as an overnight. Can you name a movie based on the dinosaur in the film? Do you think you’re a dinosaur genius? Do you think you know everything about movies? Have you seen every Jurassic Park movie, thousands of times?Then take our quiz and see if you truly know everything about dinosaurs and movies. The second entry submitted to our short story contest was written by Janet Pierce. You will find the story below. I am just amazed at the creativity of our two finalists and how cute their stories turned out. Wouldn’t it be fun to go on these adventures in real life? Visit Dinosaurland – You’ll want to stay forever…the Dinosaurs did! So what’s Dinosaurland? Uintah County is Dinosaurland. 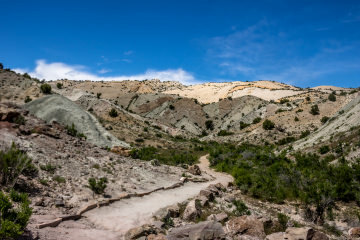 It’s Dinosaur National Monument, Flaming Gorge Reservoir, and the High Uintah Mountains. It’s open skies and beautiful scenery. Dinosaurland is real Dinosaur fossils and tracks! Scenic byways, state parks, wilderness areas, heritage trails, petroglyphs and pictographs. It’s world-class fishing, river running, hiking, biking, and camping in alpine meadows, along raging rivers, and in red-rock canyons.